Justin Kurzel brings Macbeth to the big screen and comes up against a castle wall of expectations. With so many productions of Macbeth oâ€™erleaping their way around the world, it was unlikely this new adaption was ever going to reach an unspoiled audience. All the good soliloquies are rote, the twist-ending is a classic and the major themes are the stuff of high-school examinations. Such is the problem of Macbethâ€”no matter how good a film it is, it was always doomed to struggle in the shade of whatever production the audience saw last. And it is a very good film. Kurzel directs an earthy, peaty Macbeth that lingers over the details a stage cannot show. The cinematography is breathtakingâ€”the wet, green crags of Scotland are perhaps the true breakout star here. And with the tent-huts of Glamis and the shepherd-chic look of the royal court, the unglamorous grit of the mis-en-scene brings a deeply historical, bag-pipe infused veracity to the picture. The filmâ€™s biggest problem, however, is in its failure to bring anything truly new to the table. 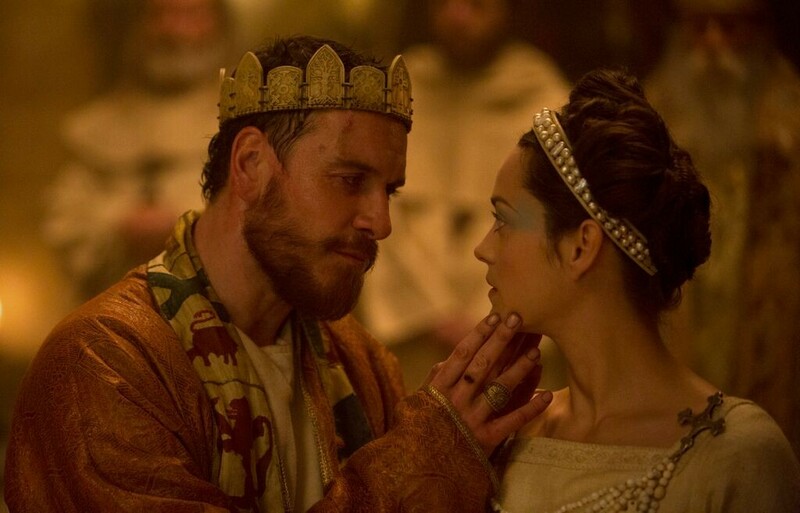 Michael Fassbender (Macbeth) and Marion Cotillard (Lady Macbeth) give fine performances, but their delivery lacks the imaginative fizz of a seasoned Shakespearian player making the text their own. Meanwhile, the Bardâ€™s delicate negotiation between inescapable fate and the self-made miseries of man, the most interesting and central theme of the text, is badly lost beneath the sound and fury of a film that focusses heavily on bloody madness. The role of the witches (who now number five, so you canâ€™t say fairer than that for value) is rather overplayed, and this decision strips Fassbenderâ€™s Macbeth of his ambiguity, leaving the tyrant King looking more and more like an uninvolved puppet. To its credit, this picture does have flashes of genius, usually when it veers off-script and takes full advantage of the new medium. The tangible presence of the Macbeth child, the execution of the Macduffs, the ingenious new transport of Birnam Woodâ€”these are the moments that make audiences sit up and pay attention, and that make adaption worthwhile. The final scenes, played out in a kind of Mad Max: Dunsinane hellscape are spectacular. Coincidentally, this is also where Fassbenderâ€™s performance truly soars, and one has to wonder if he was hoarding all his interpretive skills for the penultimate moment. In all fairness, this is a well-crafted Macbeth. For first-timers, it might even be a great Macbeth. But the likelihood of drawing total newcomers is very slim, and previous experience will make all the world a critic. Macbeth opens in cinemas October 1st. Until then, check out the trailer here.